Find of the Week - Balloon Bench by Satoshi Itasaka | What is it worth? 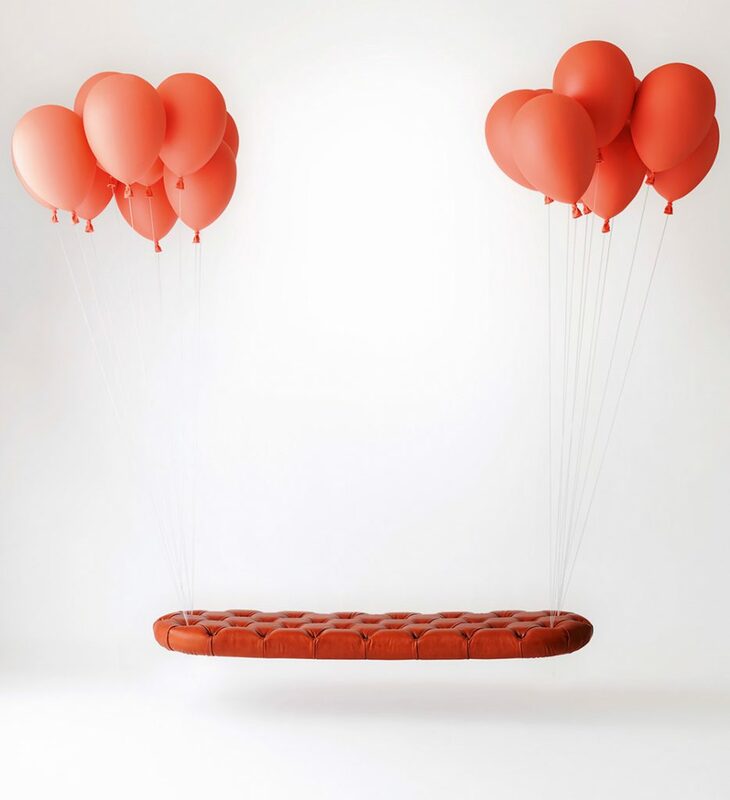 The find of this week is the whimsical and phantasmal Balloon Bench created by Japanese designer Satoshi Itasaka. Inspired by the 1953 French film Le Ballon Rouge, the mobile bench is a part of the anticipated Design sale at Parisian auction house Tajan, taking place on November 8. Itasaka uses illusion to make the design appear to be floating in air, held up by two bunches of balloons, while the bench is actually suspended from the ceiling by four latches concealed by the shapes of delicate balloon bundles. Operating under the studio name H220430, along with his partner Takuto Usami, Satoshi Itasaka’s creations are on that thin line between design and conceptual art. Albeit lacking immediate functionalism and marketability, the concept-driven product designs of the H220430 studio seem to be rising in popularity in the contemporary design market. Itasaka’s works have been exhibited in galleries in Tokyo, Munich, Milano and the 2011 Cheongju International Craft Biennale in Korea. His Mushroom Lamp is already in the collection of San Francisco MoMA. It seems like the art world has a lot more to hear from the ambitious designer, who is not afraid to make dreams become reality. Worth to keep an eye on.